The New York Public Library is celebrating Virginia Woolf with a three-day festival of lectures in October. They are free and open to the public. Cryptic’s production of Orlando, directed by Cathie Boyd, will premiere at the Traverse Theatre in Edinburgh on Sept. 30. With Madeleine Worrall in the title role, the high-tech production will feature live vocals and electronics by AGF and an original soundtrack by Craig Armstrong. The celebration of Virginia Woolf’s Orlando will continue as part of the Glasgay! Festival, where Rhona Cameron will introduce a screening of Sally Potter’s celebrated 1992 film adaptation starring Tilda Swinton on Oct. 17. On Nov. 3, the Tramway will also host “Unlacing Orlando,” which explores the novel’s modern cultural legacies, according to a Sept. 4 post onThe Skinny by Mark Daniels. Sarah Ruhl‘s adaptation of Virginia Woolf’s Orlando will premiere in New York beginning Sept. 8 and running through Oct. 17. Get the details. July 6-Sept. 26, Palmer Museum of Art, The Pennsylvania State University, University Park, Pa.
Read Benjamin Harvey’s review. Get the exhibit catalogue. Schedule: Programme, 9:30 a.m. Registration. 9:45 a.m., Opening remarks, Tony Edwards (De Montfort); 10-11:15, Session 1 Chair: Nigel Wood (Loughborough) Brian Vickers & Marcus Dahl ( Institute of English Studies, London ), ‘Editing Ford in an electronic age’ Eugene Giddens (Anglia Ruskin), ‘The print and electronic editions of The Complete Works of James Shirley’ Michael Caines ( Kings College , London ), ‘Nicholas Rowe’s smooth speakers: The textual life of an eighteenth-century dramatist’; 11:15-11.:30, Refreshment break; 11:30-12:45, Session 2 Chair: Andrew Thacker (De Montfort) Jim McCue ( Institute of English Studies, London ), ‘Conflicting Authorities in the Texts of Eliot’s Poems’ Jason Harding ( Durham ), ‘Annotating Eliot’ Ron Bush ( Oxford ), ‘“Then the fun begins and the aspirins dwindle”: Editing Pound’s Pisan Cantos’ 12:45-2 p.m.; Lunch, 2-3 p.m.; Session 3 Chair: Joanna Martin ( Nottingham ) Richard Serjeantson ( Cambridge ), ‘The Oxford Francis Bacon: editing politics and philosophy from script and print’ David Colclough (Queen Mary, London ), ‘Placing John Donne’s Sermons in the New Edition’; 3-3.15 p.m., Refreshment break; 3:15-4:30 p.m., Session 4 Chair: Philip Martin (De Montfort) Lynda Pratt ( Nottingham ), ‘Editing Robert Southey’ Jane Goldman ( Glasgow ), ‘“in a supplementary pocket a supplementary pair of eyes”: editing and reading Virginia Woolf’ Joe Phelan (De Montfort), ‘Composition, Intention and Revision: The Choice of Copy-Text in the Longman Poems of Robert Browning’. International Conference organised by the French Virginia Woolf Society, in Aix-en-Provence (Université d’Aix-Marseille I), Sept. 18–19. Enquiries to Claire Davison-Pégon at davisonpegon@gmail.com or to Anne-Marie Smith-Di Biasio at Amdibiasio@neuf.fr. See the call for papers. Inaugural conference of the British Association of Modernist Studies and Scottish Network of Modernist Studies, Dec. 10-12,University of Glasgow, organised by Bryony Randall and Matthew Creasy. E-mail snms@arts.gla.ac.uk for more information. The GroundWorks Dance Theater program July 16-18 at Cain Park’s Alma Theatre in Cleveland Heights will include Amy Miller’s “Valence,” set to music by Oberlin Conservatory composer Peter Swendsen, and Lynne Taylor-Corbett’s “Unpublished Dialogues,” a work about Virginia Woolf. For tickets, which are $18 and $20 in advance and $21 and $23, the day of the performance, call 216-371-3000. The work about Woolf’s last day of life premiered at the Icehouse in Akron, Ohio, in September of 2008, and Blogging Woolf was there, “Watching from the front row.” Watch a clip on YouTube and read a review by arts critic Donald Rosenberg in the Cleveland Plain Dealer. A new stage adaption of The Waves is playing at the Factory Theatre in Toronto, Canada, June 30 through July 11. Read more. In addition, Cecil Woolf, publisher of the Bloomsbury Heritage Series and a nephew of Leonard and Virginia Woolf, will give a talk. The conference will also include an Art and Rare Book Exhibit at the Anne Wright Wilson Art Gallery on the Georgetown campus. While the exhibition and closing keynote are free and open to the public, a full slate of speakers and presentations is available to conference attendees. A silent auction will also be held, with proceeds going to Old Friends, a Kentucky facility for retired thoroughbreds. And to mark the 20th Annual Conference, Cynthia Nash has created the Virginia Woolf Collection of specially designed jewelry named in honor of Woolf. The deadline for advance registration is April 25. After that date, the registration fee will increase $30. Individuals interested in hearing conference talks may take advantage of daily, on-site registration at $55 per day. Fuller conference details are available from the conference organizer, Dr. Kristin Czarneckiat Kristin_Czarnecki@georgetowncollege.edu. You can find the Call for Papers and Call for Artists on the conference site, along with submission instructions. “A Room of Their Own: The Bloomsbury Artists in American Collections” is available at the Mary and Leigh Block Museum of Art at Northwestern University in Evanston, Ill., Jan. 15 through March 14. With more than 190 paintings, watercolors, drawings, books and decorative works, the traveling exhibition will be accompanied by an exhibition catalog, a visitors’ guide, multimedia and Web resources and programming. Read more on Blogging Woolf. Order the 272-page catalogue from Cornell University Press at a cost of $35. University of Essex Department of Literature, Film, and Theatre Studies will hold an open seminar on “The Afterlives of Virginia Woolf” series. February 25 at 4:30 p.m., in 5A.101. All are welcome. Drinks follow in 5A.202. Get the details. The Mary and Leigh Block Museum of Art at Northwestern University will host a one-day symposium on Saturday, Feb. 27, 2010, to explore topics related to the exhibition A Room of Their Own: The Bloomsbury Artists in American Collections, which will be on display at the Evanston, Ill., museum from Jan. 15 to March 14. Read more. 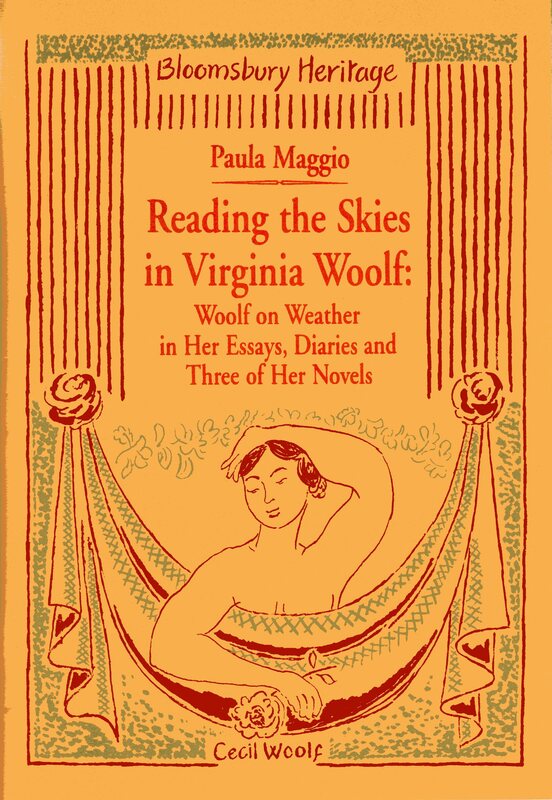 “Virginia Woolf’s Short Stories and the Art of Reflection,” by Laura Marcus, 2. p.m., Saturday, Jan. 23, Keynes Library, 47 Gordon Square, London WC1, £15. Between the Acts, led by Marion Dell, 10 a.m. – 4:30 p.m., Saturday, July 3, Pitman Room, Imperial Hotel, Russell Square, London WC1, £30. Edition to be used: Oxford World’s Classics, ed Frank Kermode (ISBN 978 0 19 953657 3), £6.99. A society event open to non-members and led by Anthea Arnold, 11 a.m.–2:30 p.m., Saturday, Aug. 14 2010. Cost: £12. Meet in the car park behind the village hall halfway through the village on the right-hand side. A guided country walk of about six miles with some fairly steep and unmade paths. From the car park, the walk goes back through the village and across the main road to climb up a narrow road to the top. It crosses the South Downs Way to go straight on through fields, and then turns right onto a track which passes the memorial to John Harvey. Another track leads round to meet the South Downs Way. The return journey offers magnificent views of the sea and the coastline. We will lunch in the Village Hall around 1 p.m. Afterwards, people may choose to visit Monks House, which is open to the public in the afternoon (entrance fee not included). A residential program of seminars led by David Bradshaw at Worcester College, Oxford, Sept. 9 through 12. Cost: £399 per person including bed & breakfast at Worcester College for the three nights and two evening meals. Maximum of 25 delegates. See the booking form enclosed with the 2009 mailing of this Bulletin to Members. For enquiries, contact Stephen Barkway, 106 Gloucester Road, Kingston-upon-Thames, Surrey KT1 3QN; e-mail: sbarkway@btinternet.com. The Reading Group meets every two months or so, on a Saturday afternoon at Jacques Café in the Tavistock Hotel in Bloomsbury. For the next meeting, please contact Sarah M. Hall. 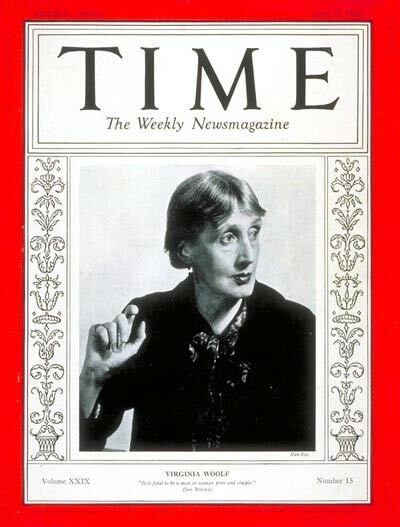 Get information about joining The Virginia Woolf Society of Great Britain. “From Sickert to Gertler: Modern British Art from Boxted House”, exhibition, continuing to 12 September 2010, Brighton Museum & Art Gallery, Royal Pavilion Gardens, Brighton BN1 1EE, Tuesday–Sunday 10 a.m.–5 p.m., £5. Tel 03000 290900.